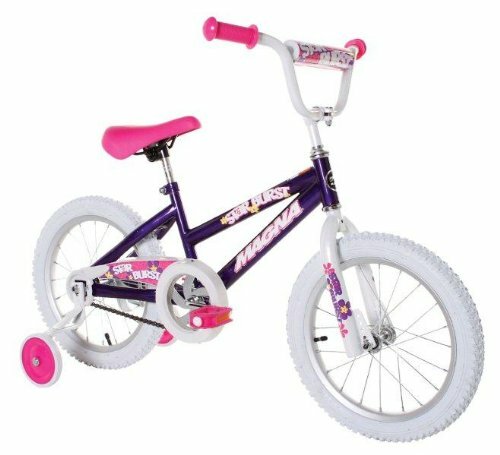 The Magna Starburst Girls BMX Street/Dirt 16" Bicycle is a fun way for kids to ride around the neighborhood, park, or easy trails. Great for beginning riders, it also includes a rear coaster brake and adjustable/removable training wheels to provide extra balance and stability. This BMX bike has a handlebar pad for added safety and is decorated with vibrant "Starburst" logos.